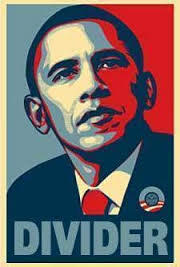 WHAT A SURPRISE, WHAT ELSE WOULD A COMMUNITY AGITATOR DO WHO CARES MORE ABOUT HIS LEGACY THAN THE US? In an interview with Fox & Friends released Monday night, President Donald Trump accused former President Barack Obama of being behind and responsible for some of the recent protests against him and Republicans. President Trump responded when asked whether Obama was responsible for organizing some of the recent political protests against him and other Republicans … “No, I think he is behind it. I also think it’s politics — that’s the way it is.” Would it really come as a surprise that behind the scenes Obama made every effort to derail the Trump presidency so to maintain any type of legacy? 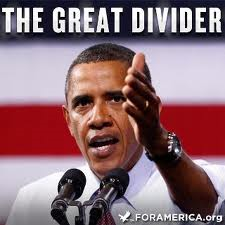 This is what Obama is, a community agitator. President Donald Trump delivered a scathing accusation against former President Barack Obama in an interview released Monday night. Trump was asked whether Obama was responsible for organizing some of the recent political protests against him and other Republicans — including the widely publicized demonstrations at GOP town-hall meetings. Once again we are witness to Barack Obama’s lack of character, empathy any anything remotely presidential as Obama goes golfing on vacation after informed of a terror attack in Afghanistan that killed six American service members. Is there anything that would prevent this individual from going golfing? One has to wonder if Obama had been president during the Japanese Pearl Harbor sneak attack or 9-11 terror attacks whether this so-called president would have canceled his plans to go golfing? One would have to doubt it. But its the Democrat mantra when it comes to Americans killed under their watch … what difference does it make. It’s bad enough that Obama has acted like Air Force One is like an “Uber” ride, as the travel expenses are thru the roof, but could this man at least pretend like he cares about some one else more than himself? 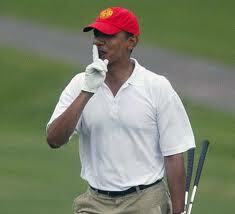 Shhh … don’t tell anyone I am the greatest failure of a president, EVER!!! President Obama is on vacation in Hawaii, where he was informed of a terrorist attack in Afghanistan that killed six American service members. The attack was carried out by a suicide bomber on a motorcycle outside a U.S. military base, the largest loss of life of American troops in Afghanistan this year. The Taliban claim responsibility. But the sobering news didn’t stop Obama from heading to the golf course, a tradition for the president as he enjoys the Hawaii climate during the holidays. The president and three of his friends hit the golf course shortly after noon at the Mid-Pacific Country Club. Unreal, the United States gets a statement from the White House press secretary of condolences to the family and that our thoughts and prayers are with the victims, their families, and their loved ones, as Obama is playing a sand wedge from the bunker? HUH? Oh yeah, he so cares, his actions are all we need to see to realize he just doesn’t give a $hit. Check out the pics at Breitbart.com where Obama can be seen making it all about him as he chips it in on the 18th hole. What a poor excuse for a president, a commander in Chief and a man. Sorry, this president lost me when he showed his true lack of character and decided to make fun of developmentally challenged Special Olympic athletes and made a joke of them. What a dirt-bag. 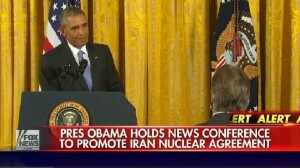 Obama Scolds CBS News Reporter Major Garrett When He is Questioned Why Obama is Content with all the Fan Fair Around the Nuke Deal When 4 Americans Remain in Iran Prisons? Watch the VIDEO below and you will see why Barack Obama is a pathetic leader and a small man. CBS News reporter Major Garrett got under Obama’s skin when he questioned why a negotiation was made with Iran for nukes where at the end many concessions were obviously made to the State sponsors of terror, why four Americans remain as hostages in Iran? The reporter asked, why Obama is “content” to spike the football and accept all the fan fair for this deal when Americans remain hostage. If looks could kill. How dare anyone in the media dare question the Supreme leader, Barack Obama. The president later took umbrage when CBS News reporter Major Garrett asked why he is “content” the freedom of American prisoners held in Iran was not secured, despite their cases apparently being raised. The president said teams are working “diligently” to free them, but said tying their freedom to negotiations could create an incentive for Iran to use American prisoners as leverage for concessions.